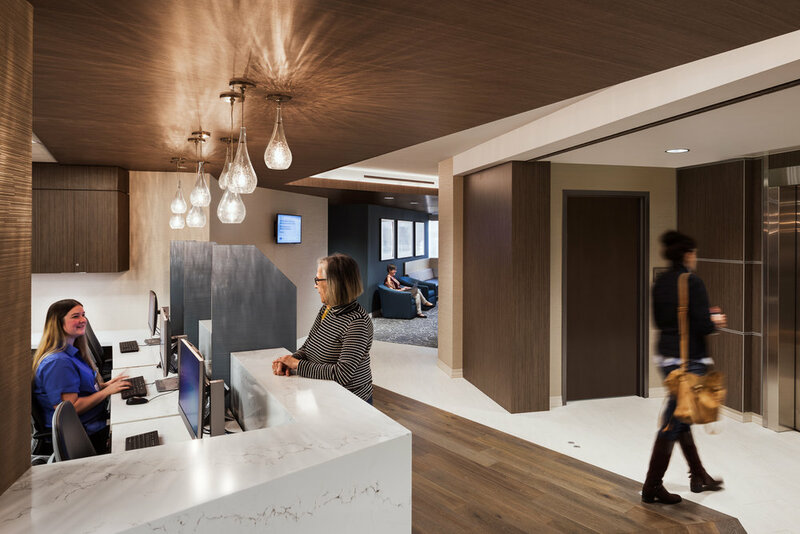 SWA Architects was hired to create this state-of-the-art imaging center for UCLA. 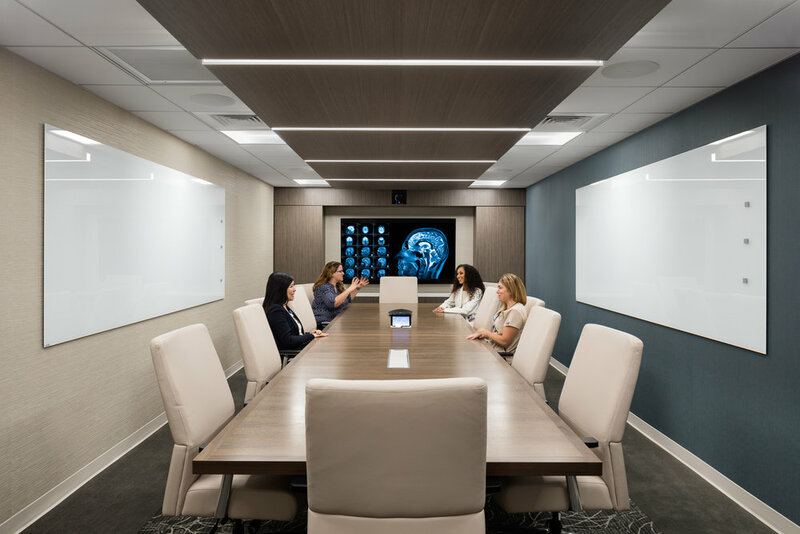 The 18,000 sf facility spans two floors of an existing office building in Rolling Hills, CA. 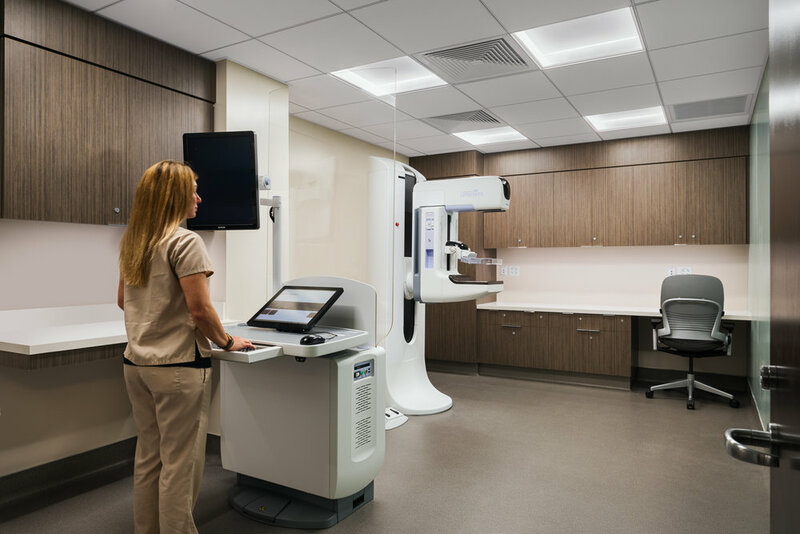 The UCLA Rolling Hills Imaging Center provides access to MRI, CT, Mammography, Ultrasound, Breast Biopsy, and Bone Density Screenings. 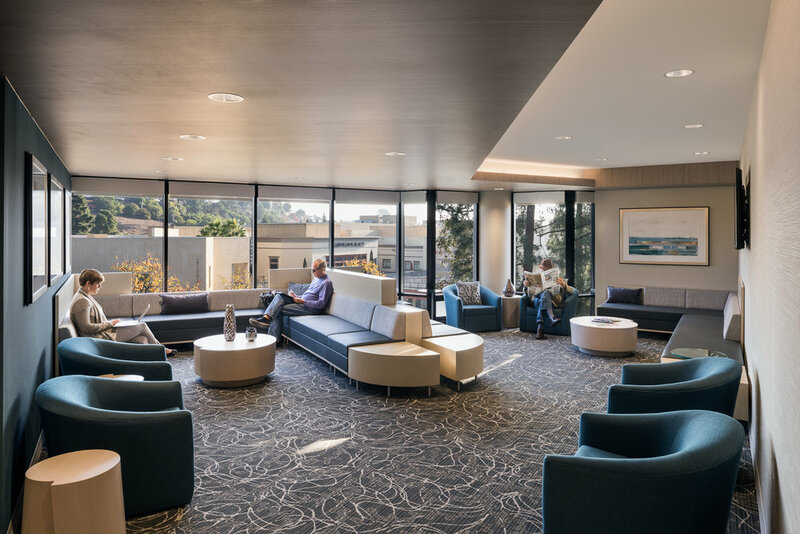 In addition to the specialized imaging rooms the facility includes physician offices, reading rooms, a staff lounge, IT room and the mechanical and electrical service rooms required to support the center. 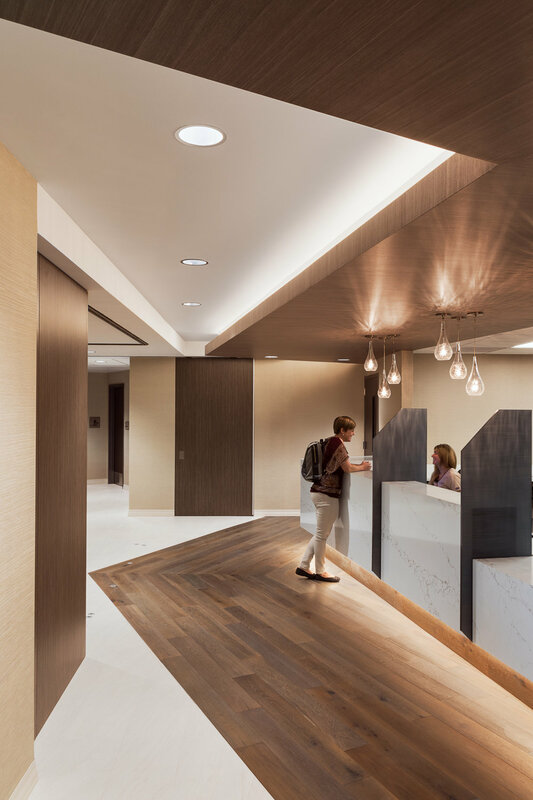 SWA was faced with several challenges brought on by existing site conditions, all of which needed to be addressed while the other floors remained in full operation. The building’s structural system required extensive reinforcement in order to accommodate the two new MRI units and single CT scanner. The existing building's HVAC system was also upgraded to meet OSHPD 3 requirements for this new imaging center. Low floor-to-floor heights created very limited options for replacement duct-work to accommodate the newly upgraded HVAC system. 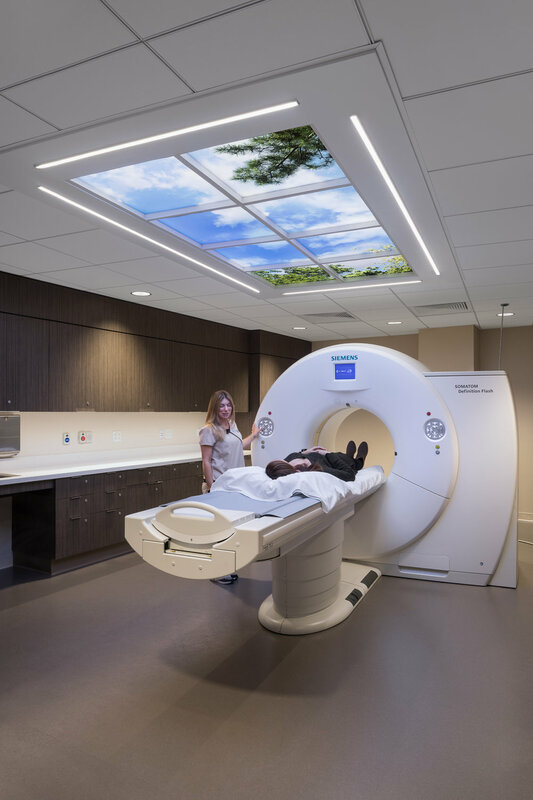 Custom acoustical isolation assemblies were also designed and installed beneath the two MRI suites to minimize sound/vibration transmission to the floors below during operation. 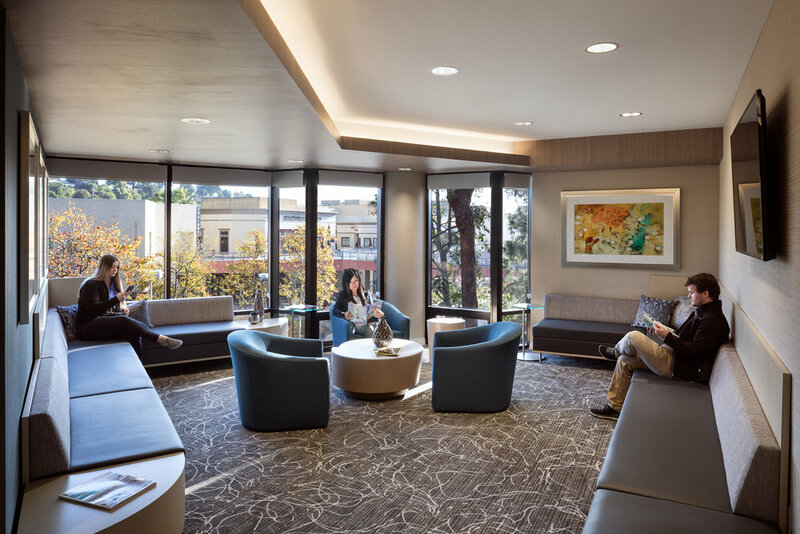 SWA Architects and our design team were able to create a practical and viable solution which allowed the project to remain on schedule and within budget. Size: Approx. 18,000 sq. ft.